For the first time ever, 18 incarcerated students from the Cheshire Correctional Institution received Associate Degrees through the joint program between Wesleyan University’s Center for Prison Education (CPE) and Middlesex Community College. The graduation ceremony was held at the Cheshire Correctional Institution on August 1. 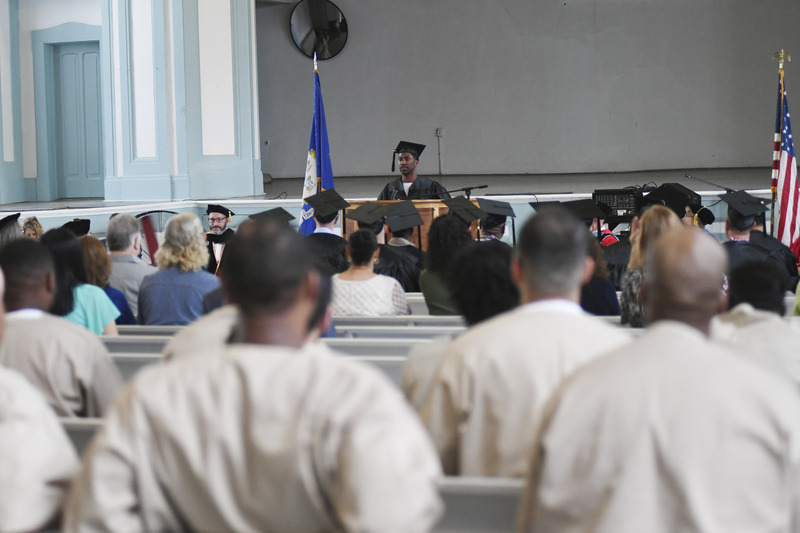 Following a similar graduation at the York Correctional Institution with six women, this ceremony also marked something slightly different from the usual college commencement ceremonies in May and June. Russell Perkins ’09, who helped spearhead early efforts that became CPE, described his thoughts on the graduation and the program itself. According to Perkins, the CPE grew from nearly a decade of activism and volunteering from undergraduates at Wesleyan. The graduation in August came from the roots of students in the early 2000s who advocated to create a college-in-prison program at Wesleyan. Since then, CPE has provided accredited Wesleyan courses to students at the Cheshire Correctional Institution, a maximum-security prison for men. The courses are taught by Wesleyan faculty, and the subjects range from biology to philosophy and more. Wesleyan University students are involved too, with about 50 or so each year working in study halls at the prison or on campus filling out research requests and serving as project assistants. The commencement ceremony in August brought out many emotions for those in attendance. CPE Academic Manager Kristen Inglis said she felt unadulterated joy watching the ceremony. “It was an indescribable experience to see the achievements of CPE students acknowledged, to meet students’ friends and families, and to see gathered together all of the people who together have made CPE a success,” she wrote in an email to The Argus. William Griffin Professor of Philosophy Lori Gruen taught her first course for CPE in 2010 but had been involved in the program before it started offering courses. 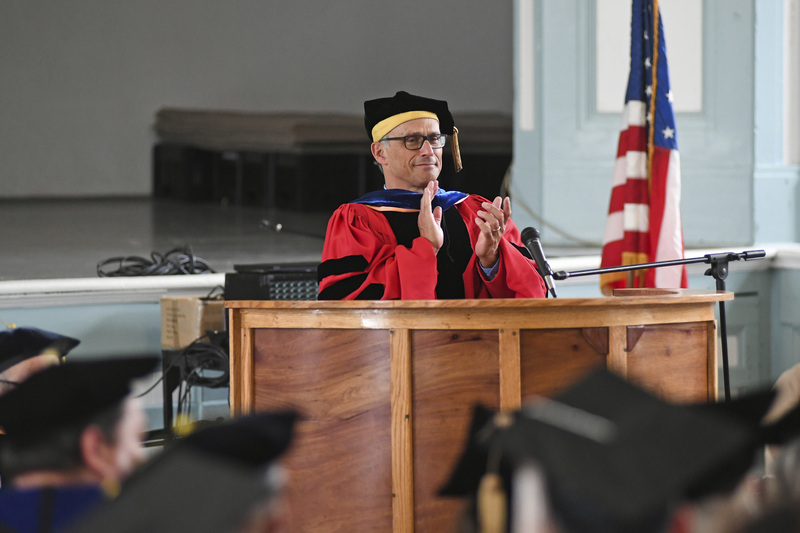 In an email correspondence with The Argus, Gruen highlighted a few of the speeches from the students at the graduation. She said Clyde Meikle, a deep and poetic thinker, gave a wonderful, radical speech. She also mentioned the power of Roberto Alvarado’s speech about enduring the impact of negative labels as a young person. Gruen also mentioned the speech that James Davis gave at the ceremony. CPE Fellow Isabel Bartholomew ’18 attended both the graduation at Cheshire and the one prior to it at York Correctional Institution. Bartholomew noted that the manner in which this achievement was marked, both by the ceremony itself and press attention, is vital for this project. Inglis furthered those sentiments asking why a liberal arts education mattered and applying the answer to incarcerated students. Inglis continued her thoughts, talking about why programs like CPE are vital not only for the incarcerated students but also for the entire campus community. Student volunteer Mary Johnson ’21 echoed these sentiments. She spoke about the importance of the ceremony for the incarcerated students. Like Johnson and others, Gruen emphasized the importance of education in this country, especially for those who have been incarcerated. Gruen, along with Inglis and Perkins, all discussed possibilities for growth in the future—their hopes for what changes this graduation might bring to CPE and programs like it. Perkins added his wishes for Wesleyan specifically. “Looking forward, I hope Wesleyan will continue to demonstrate its institutional commitment to this field by taking the next logical step to offer its bachelor’s degree to incarcerated students,” Perkins wrote. Gruen also spoke of the potential for establishing a way for incarcerated students to earn a bachelor’s degree.